Lysenko denounced renowned geneticist Johann Mendel and even the theories of evolution by Charles Darwin, he regarded any study of genetics as “bourgeois” biology. What he particularly didn’t like about Darwin’s beliefs was that the concept of parent genes lending their characteristics down to their offspring was “reactionary and evil,” since they didn’t allow for change and reinforced the status quo. Because of his beliefs, the Soviet biologist brought famine among the Russian people and hindered biology for years by purging any scientists that criticized his work. A key to his beliefs was that environment, rather than true genetics, had the ability to change the characteristics of their DNA. 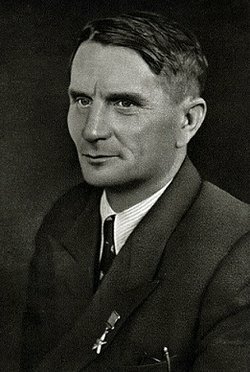 The Soviets began to reach out to Lysenko during the 1930s, his work started out by what is called vernalization — or “the application of cold and moisture to seeds,” which he claimed would change ‘winter harvest’ to spring harvest.’ Allowing for the reuse of winter seeds and plant for the spring if they were unsuccessful during the winter. The crazy argument that this would even be possible is like claiming that “dogs living in the wild give birth to foxes.” In their desperation, the Soviets were made to allow Lysenko to be the head of Soviet agriculture for increased food production; he was also called the “barefoot scientist,” coming from a poor background, which made him even more well liked in the party. His first use of power came from Stalin himself, Lysenko through Stalin put millions of people into participating in collective farms to modernize agriculture; vegetables like: “wheat, rye, potatoes, and beets, were ‘vernalized’ according to the geneticist’s teachings. Even bloc nations, such as Communist China, were affected by even bigger famines that found its roots in Lysenko’s teachings. Soon he found himself in deep heat when the son of party boss, Andrei Zhdanov, called attention to Lysenko’s flawed science. In the end, he got what was coming to him because in reality, Lysenko fully went after biologists, geneticists, or any other scientists that were finding the truths about his work or were publicly against his theories; many ended up arrested, within the gulags, or dead. And because of this, sciences related to: agriculture, ecology, medicine, and other vital areas. After Stalin and after the reign of Khrushchev, Lysenko lost everything and orthodox genetics triumphed over Soviet biology; but even if, the scientist and his followers kept their place in Soviet hierarchy and continued to believe their idiotic theories. This was a super interesting post! It’s really interesting how this rejection of a theory based on it being “bourgeois” led to such disastrous famine. I think this is a great example of following ideology to a fault, in which it blinds people to reality. Great post! I noticed a huge plot hole /loop hole in the logic presented by the scientist and his disdain for genetics. Claiming “they don’t allow for change” contradicts the whole point of genetics as we are constantly and slowly evolving. Also some irony in his last name being Mendel, any relation to Gregor Mendel? What an interesting post! Learning about how the USSR tried to construct infrastructure fascinates me because I realize that they were just trying to find their way in a world that was against them. I really liked your post, it was really informative! I feel the same way! It’s just sad to look back seeing how so wrong they were about concepts that are widely believed like evolution! I had no idea that they were against the theory of evolution, and other largely accepted scientific theories. It’s really fascinating how many scientists ended up being persecuted against just because their research didn’t match up to the part line. Nice Post! And it’s all because he was simple-minded in the way he thought of genetics in a non-bougie way, I don’t think that gives him the credentials to climb all the way up in the Soviet hierarchy. And yet, there he was! You’ve really highlighted the tragedies and ironies of pseudo science and Lysenko’s career. And I like how you transitioned (and documented!) to Lysenko / stalinist science from “The Big Deal.” Excellent source work on both fronts. 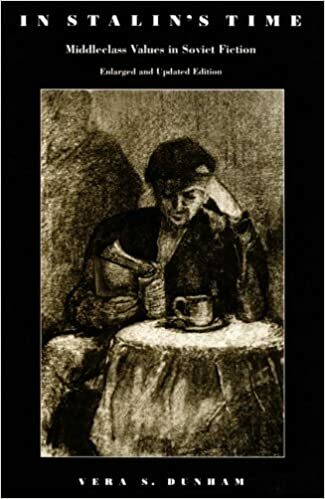 The part of Lysenko that always mystifies me is that he is essentially reviving an older school of thought associated with Lamarck (that environment affects heredity and that parents can pass on acquired characteristics to their offspring) — a school that had been rejected pretty resoundingly — and yet no one wanted to step up and say “hey we tried that in the 18th century”? Exactly! Most of the resources I used were making fun of how Lysenko brought back this kind of backwards thinking when it came to genetics and evolution, it makes a lot of sense to me that now his is kind of a laughingstock in the biological community. Though, some of the websites also share that there has had some considerable attention recently, most likely associated with a resurging of an anti-Western (more so anti-American) rhetoric! Your post was so interesting! It’s so different from other posts that I’ve seen. I love how it’s science related. Thank you! I haven’t done a post like this before and I’m really interested in science fiction! So Lysenko’s ideas on how the environment had the potential to change species really interested me, and how his thinking affected so many people! When he denounced Darwin and Mendel, did he replace their ideas with the ideas of other thinkers? Or did he make his own assumptions…? Previous Previous post: Shall I Compare Thee to a Russian Winter?